The best way to guard against rogue applications is to avoid any third-party Facebook applications entirely. If this approach is too extreme for you, there are some steps you can take to help protect your account. 1. Be very selective in the applications you install. Stick with applications from well known developers and software companies. If you are tempted to install a more obscure application, then research it thoroughly before doing so. 2. 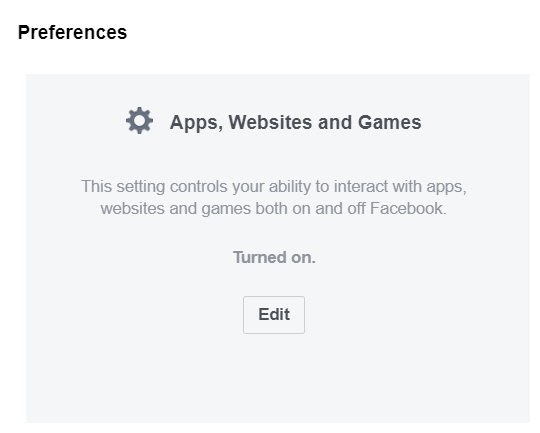 Double check the permissions you have granted to Facebook applications currently installed. You can access this list by clicking the down arrow in the top right corner and then clicking the ‘settings’ link. Then you’ll want to click on the ‘Apps and Websites’ link located in the left column. This will take you to the App Settings page. You can also use this link to be taken straight there. Here, you can edit the permissions on specific applications. It’s a good idea to remove anything you don’t recognize or haven’t used in a while. When clicking on an app, you can see what Facebook data the application has access to, the last time it accessed your data, and you can set privacy settings for the application in question. Complete and total access to your Facebook account – An app requesting too many permissions is a big warning sign. Access to Facebook Chat – You don’t want the app spamming malicious links via chat messages to your friends. The right to manage your Pages or Events – It is a common ploy for scammers to create bogus pages and events to spread their messages virally across Facebook. Click the Disable Platform button and you’re good to go. Keep this information in mind the next time you think about installing a Facebook application! One rogue application can impact a large number of innocent users, and you don’t want the infection traced back to you!